Snakes have a long, lasting life. With your brand on the promotional Snakes 100 Gram Bag, you will not to be forgotten. Make way for the most fun, most slithery candy snack on the block. 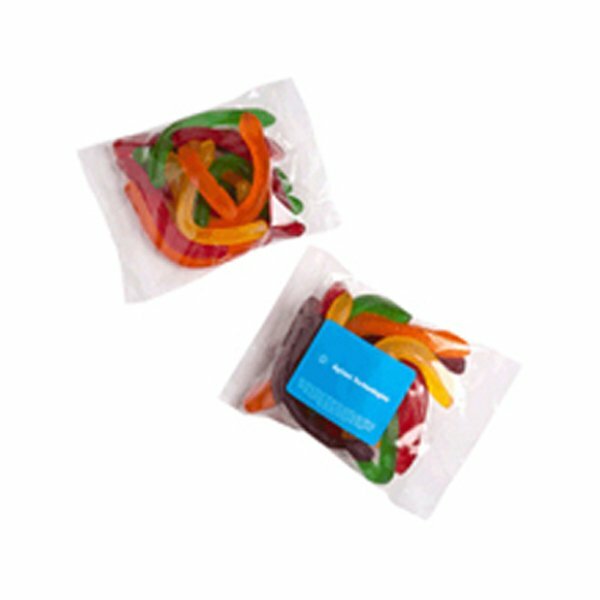 Our promotional Snakes 100 Gram Bag is colourful and composed of great sized candy snakes. 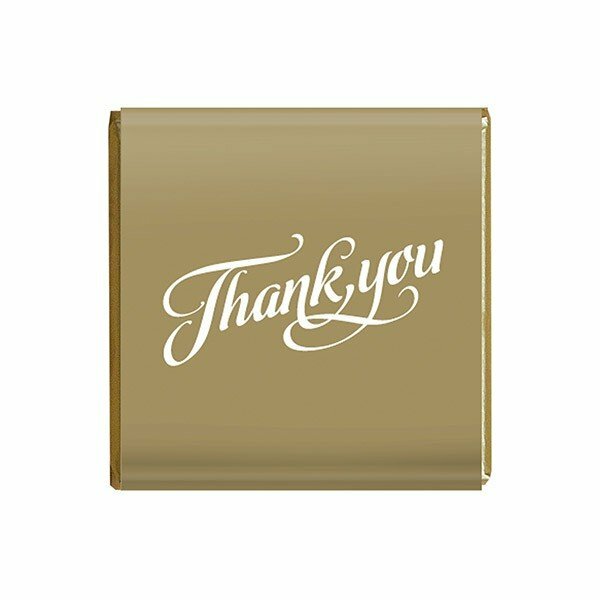 This is your ticket to strong client recall at big corporate events. It is a unique novelty item to keep you top of mind. The translucent, individually coloured candies are vibrant and pleasant smelling. They are dry to the touch and will not leave a sticky residue provided they are kept in tempered conditions. The custom Snakes 100 Gram Bag has a medium gummy texture that will keep you chewing, should you choose to savour the sweet experience. The tart level is a nice complement to the sweetness of each individual snake. Each product packaging measures 130 mm in width and 95 mm in height. The clear packets contain 100 grams in weight of the candy snakes. Enhance the appearance of these eye catching products even further by customizing them with your company’s branding and logo on the sticker label. Covering a printing area of 50 mm in width and 40 mm in height this is the perfect size label. Order these fun fruity snacks and wiggle your way to a fun and memorable experience for your company and clients. If you dig out this snakes offer, but think that 100 grams is a bit too much for your requirements, you’ll be happy to know that we also offer them in a 50 gram option with the branded Snakes 50 gram Bag. Or yet for another fun treat for your promotion, the custom Jelly Beans Pull Can is another great option. If you need advice with regards to customisation or choosing a product, you can give us a call through our hotline number: 1300 008 300. Likewise, we can also be reached through live chat. Just shoot us your message anytime and we’ll get back to you. 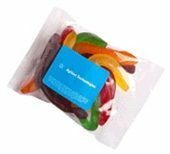 If you think these jelly snakes are the answer, and you’d like to pair them with some branded head wear, then head on over to our Fast Caps site and you’ll definitely find a complimentary hat or cap colour to your branded confectionery gifts. A suggested starting point would be our promotional Emperor Cap.